Designer: Ludwig Mies van der Rohe and Lilly Reich, 1929. 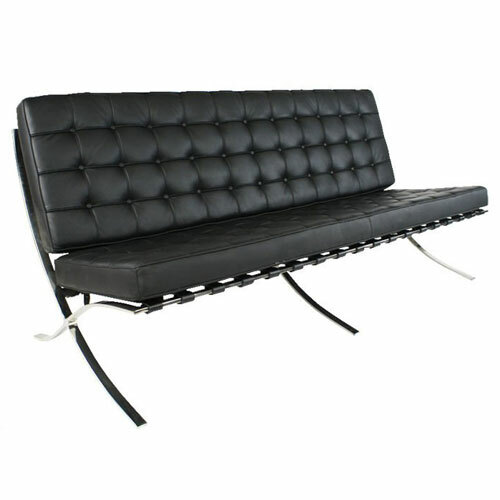 The Barcelona love seat sofa was one of the most elegant pieces of modern furniture of the 20th century. 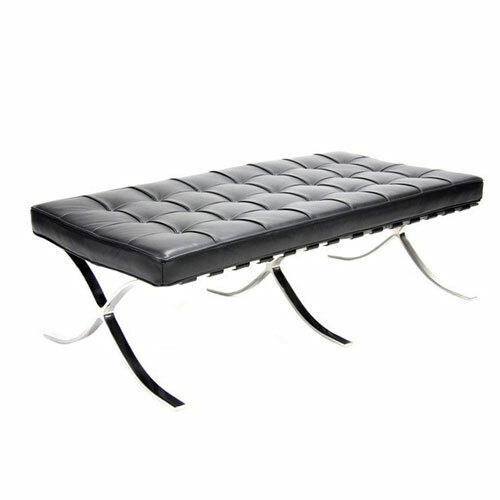 The sofa was designed for the International Exposition hosted in Barcelona, Spain. The frame is constructed with solid stainless steel formed by a seamless piece of metal, giving a smooth appearance and for ultimate durability. The surface of seat and back cushion feature high quality PU leather upholstery, each panel of leather is carefully selected, hand cut, hand piped matching with deep tufting buttons.